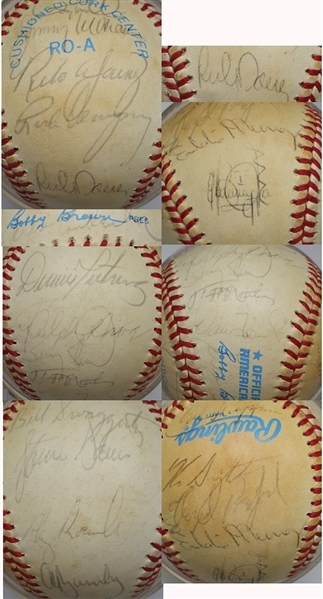 Baseball signed by Eddie Murray and nineteen others. Very good condition. He was elected to the Baseball Hall of Fame in 2003. In the New Bill James Historical Baseball Abstract (2001), Murray is described as the fifth-best first baseman in major league history. He was 77th on the list of the Baseball's 100 Greatest Players by The Sporting News (1998).